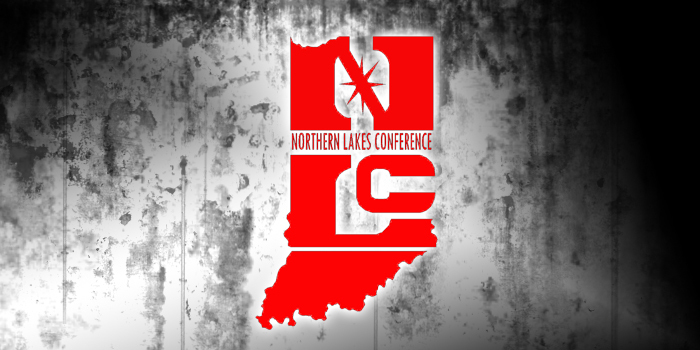 The final two girls tennis teams representing the Northern Lakes Conference saw their seasons end in semistate play Saturday. Concord dropped a 3-2 final to Delta in the Homestead Semistate, while Plymouth came up on the short end of a 3-2 final to No. 10 South Bend St. Joseph in the Culver Academy Semistate. Concord claimed straight set wins at No. 1 singles and No. 1 doubles versus No. 12 ranked Delta. Maya Klopfenstein won 6-1, 6-3 at No. 1 singles play to pace coach Jan Soward’s team. The duo of Meaghan Godzisz and Keegan Thursby posted a 7-5, 6-4 win at No. 1 doubles. The team, which has not lost in the tournament series, advances to the Doubles State Finals on June 9-10 in Indianapolis. Regan Landis lost 6-1, 6-4 at No. 2 singles and Camille Lozier dropped a 6-3, 6-1 final at No. 3 singles for Concord. The team of Lauren Pollock and Kelsey O’Dell lost 6-1, 6-4 on the No. 2 doubles court. Concord earned NLC, sectional and regional titles for the first time since 1992. The Minutemen beat NorthWood 5-0 Wednesday in the finale of the Northridge Regional to claim their second straight regional title. Plymouth lost a 3-2 final to the Indians, who won the semistate for the third straight year. The Pilgrims had defeated Warsaw 4-1 Wednesday to win the Culver Academy Regional championship. The Pilgrims got wins at No. 2 and No. 3 singles. Sophomore Kyla Heckaman won 7-5, 6-0 at No. 2 and freshman Miranda German posted a 6-1, 6-1 win at No. 3. St. Joe won at No. 1 singles as senior Maddie Yergler topped senior Cortni Cook 6-0, 6-1. The Indians won at No. 2 doubles as Katherine Bella and Kathryn Borders topped junior Mary Beatty and sophomore Audie Plothow 6-1, 6-2. The Plymouth No. 1 doubles team of seniors McKenzie Scheetz and Leah Smith put up a spirited effort. The duo lost 6-0 in the first set to Kayla Graham and Nicole Pascual before forcing a tiebreaker in the second set. St. Joe won the second set 7-6 (7-4) to earn the third and deciding point of the match. Coach Brad Haeck’s Plymouth squad sees its season end at 18-5. St. Joe, which beat Warsaw 5-0 in each of the last two semistates at Culver Academy, advances with a 19-3 mark. Delta will play No. 11 Jasper (18-3) on Friday at 3 p.m. at Carmel High School in a quarterfinal match of the State Finals. St. Joe faces No. 9 Brownsburg (17-3) also at 3 p.m. Friday at Center Grove High School in quarterfinal play. The other quarterfinal matches Friday have No. 1 Carmel versus No. 3 Providence and No. 2 Cathedral versus No. 6 Center Grove. The semifinals are Saturday at 10 a.m. with the finals at 2 p.m. at North Central High School.